A homely and delightful experience in Chennai. Hotel Maharajay displays fine appearance of style with finely decorated interiors and sleek furnishing with a simple and modern look to it. 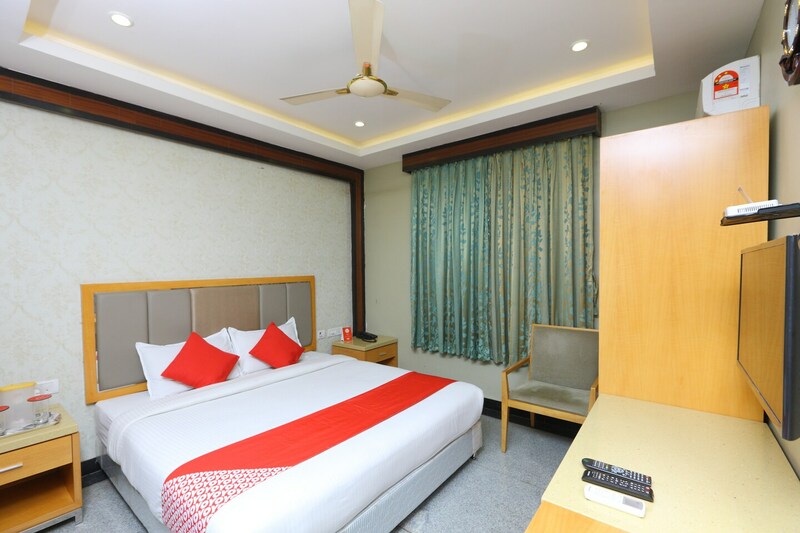 With pocket-friendly and comfortable stay, it is a unique opportunity for various travelers to enjoy a comfortable and homely stay. The rooms are spacious, bright and well-designed equipped with modern pieces of furniture. Guest can avail the facility of free Wi-Fi along with parking space, elevator, and laundry service. The seating area is vibrant with dark wooden decor and a comfortable set of sofa laid out for travelers.